This is the 3rd show of the collective of artists, who have a broad and dynamic spectrum. 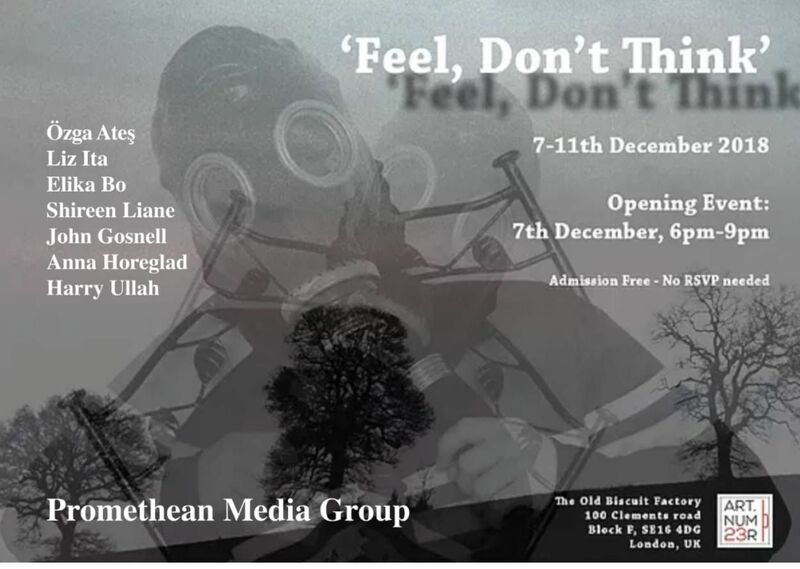 The Promethean Media group would like to invite you to "Feel, don't think" this is the 3rd show of a collective of artist who has a broad and dynamic spectrum. For feel, don't think the artist has produced work to invoke feeling the idea comes from us as a race think too much and feel too little. It promises to be something that pushes the senses. So you are all welcome to the private view the show will continue on until the 11th. Remember feel, don't think!